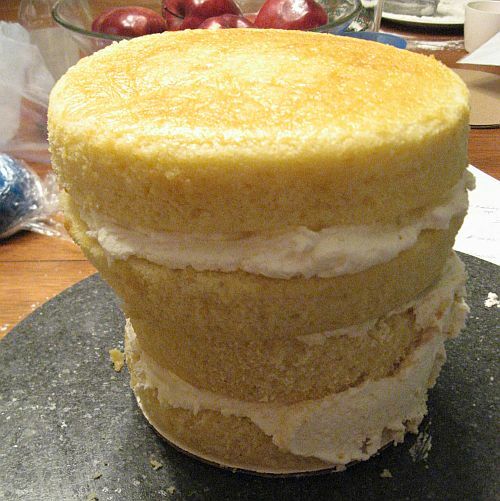 You are currently browsing the tag archive for the ‘Marshmallow Fondant Cakes’ tag. York PA Bakery makes Minnie and Mickey Mouse Birthday Cake for Twins! 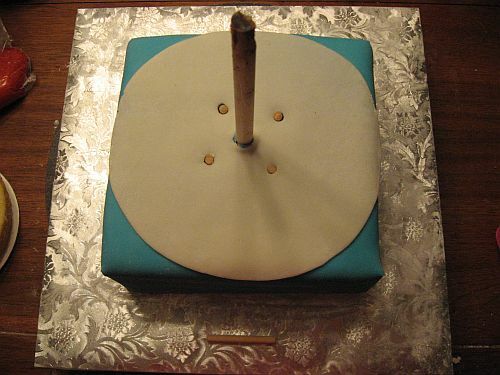 This was definitely a fun cake! Who doesn’t love Mickey and Minnie Mouse? 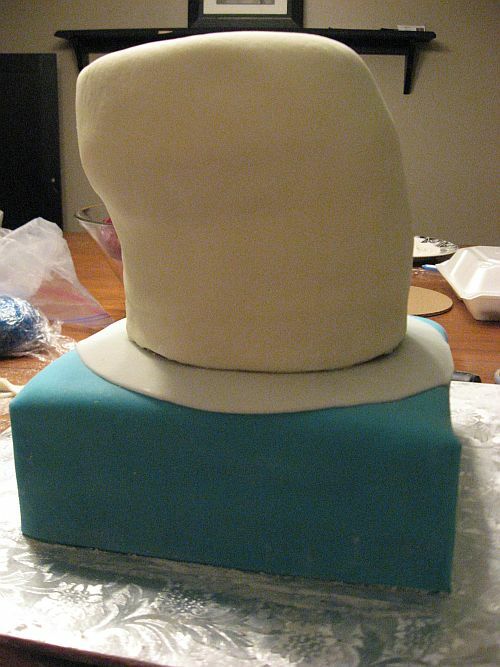 The three tier cake was a bottom mickey inspired tier and the middle tier was inspired by Minnie’s Skirt. The ruffling detail of the Minnie’s Skirt tier turned out perfectly and was done with Marshmallow Fondant. 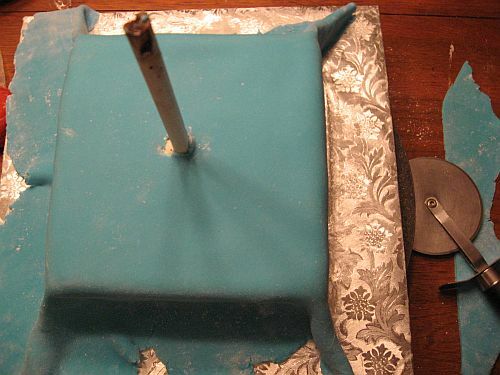 The entire Birthday Cake is covered in Marshmallow Fondant as well. 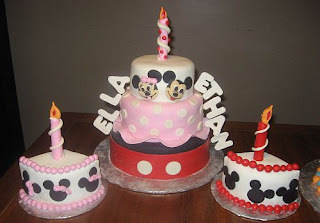 For the Top tier of the Birthday Cake I made Mickey and Minnie faces out of Marshmallow Fondant. Adding the little bow detail for Minnie! To finish off the top of the tiered Mickey and Minnie Birthday Cake I added a spiral candle with polka dots. 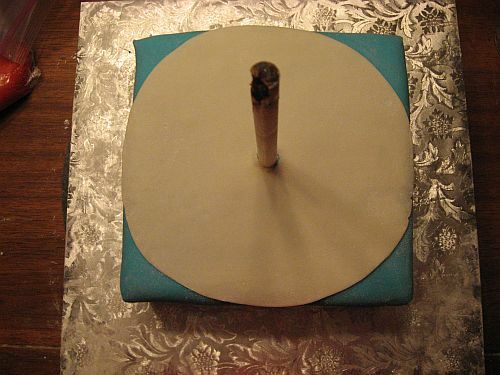 The Twins were turning one so one is all that was needed. 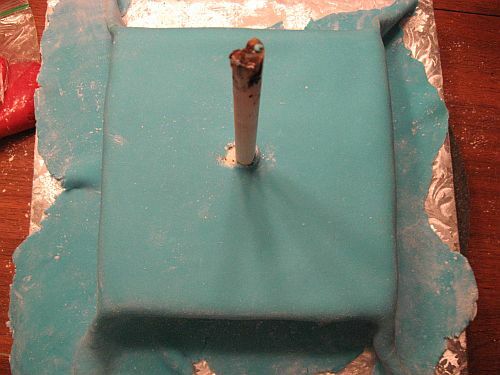 We did the smash cake a little different. 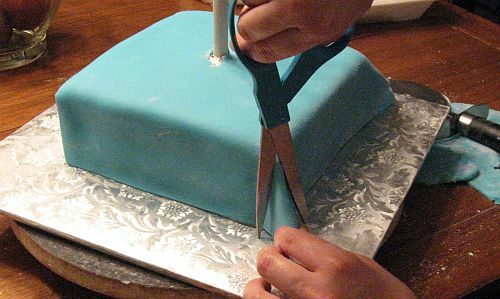 We made individual Cake Slices for each twin. One Pink and Minnie Mouse theme for the one year old baby girls Birthday Cake. One Red and Mickey Mouse theme for the one year old little boys birthday cake! 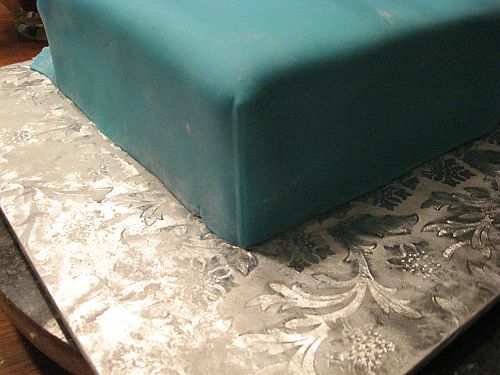 The other side of the slice was decorated to look like it was cut into and triple layers were showing on the cake. 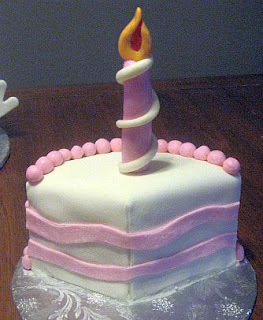 The spiral candles go along perfectly with the theme and were made entirely out of Marshmallow Fondant as well. The cakes looked absolutely fabulous! 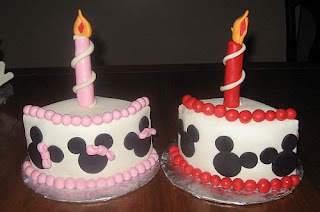 We had so much fun making them and look forward to making many more Mickey and Minnie Mouse themed Birthday Cakes! 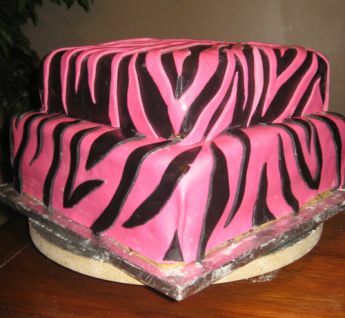 To order your special order Birthday Cake give us a call at 717-858-7941 or visit us on the web and fill out our quick Online Form and someone will get back to you with a quote in a timely manner! 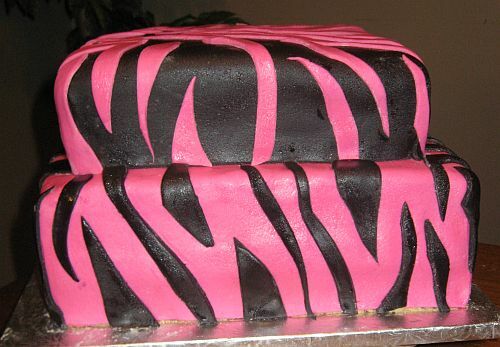 Pink and Black Zebra Striped Birthday Cake! 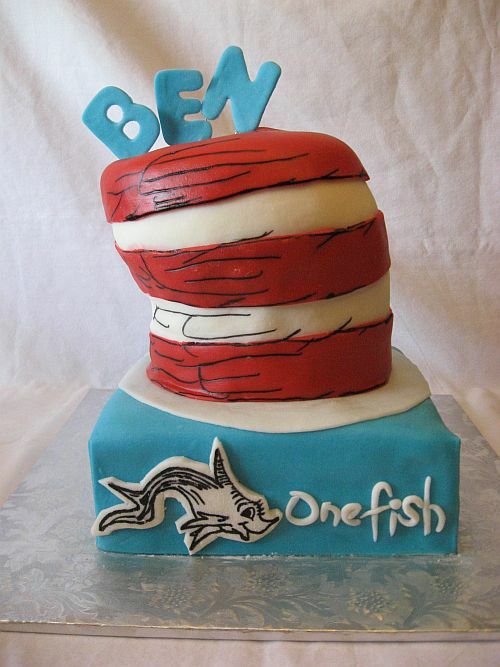 You will find alot of the cakes we have made that were special orders made custom for the individual who ordered them. if you would like to Contact Us you can click here to fill out our online form.